The following terms and conditions apply to all transactions on www.diamond-bracelets.co.uk and your use of the website itself. To protect your own interests, please read the conditions carefully. If you are uncertain as to your rights under them or you want any explanation about them please write, telephone or email our Customer Services Department BEFORE you place the order. When you use the website, you agree to accept these terms and conditions. You are advised to print and retain a copy of the terms for your records. 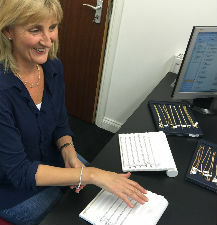 By placing an Order and purchasing goods from www.diamond-bracelets.co.uk you enter into a legally binding agreement with us on the following conditions. You should read and understand these conditions because they affect your rights and liabilities. 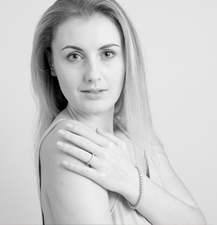 These are the standard terms and conditions of sale of Diamond Bracelets, c/o Jewellery Cave Limited, 48b Hendon Lane, Finchley, London N3 1TT. Registered in England and Wales number: 06616633 ("the Seller", “the Company", "We" or "Us") for certain products as set out in the pages on this site ("the Goods"). In accordance with the provisions of The Consumer Protection (Distance Selling) Regulation 2000, you have the right to withdraw from this transaction. Details of your right to withdraw can be found in Clause 11 below. 'Website' our presence on the worldwide web, currently accessible via the address www.diamond-bracelets.co.uk. 1.4 Unless the context otherwise requires, references to clauses shall be construed as references to clauses of these Conditions. 2.1 You confirm that you are at least 18 years old or you are under the supervision of a parent or guardian. The website grants you a limited and revocable license to use our site for the purpose of shopping for personal items and not for any commercial or other use. 2.2 The rights in the designs and the content of this website are owned by Diamond Bracelets, c/o Jewellery Cave Ltd. The website may not be reproduced, duplicated, copied, sold, resold, visited or otherwise exploited for any commercial purpose without our express, written consent. 2.4 You are prohibited from uploading to, posting on or transmitting through the website any information or material that (a) violates or infringes the proprietary rights of any person; (b) is libellous, threatening, defamatory, obscene, indecent, pornographic or could give rise to any civil or criminal liability under any law; or (c) includes any viruses, worms, 'Trojan Horses' or other harmful code or properties. 2.5	If you use the website, you are responsible for maintaining the confidentiality of your account information and password and for restricting access to your computer, and you agree to accept responsibility for all activities that occur using your account information. 3.1 We shall sell to you and you shall purchase only those goods which you have set out in an order and which have been accepted by us. We reserve the right to reject any order. Unless otherwise agreed in writing, each such sale of Goods will be subject to these terms and conditions. 3.2 No Order submitted by you shall be deemed to be accepted by us unless confirmed by email or in writing by us. 3.3 No variation to these Conditions shall be binding upon us unless and until agreed by email or in writing by us. 4.2 Orders are accepted at our sole discretion but are normally accepted if the Goods are available, the order reflects current pricing, you are based in the Delivery Area and your PayPal account or Payment Card is authorised for the transaction. 4.3 All payments to www.diamond-bracelets.co.uk are handled securely by PayPal. 4.6	The quantity, quality and description of and any specification for the Goods shall be those set out in the relevant pages of this site. 4.7 We reserve the right to make changes in the specification of the Goods which are required to conform with any applicable statutory or EC requirements. 5.1 All prices are shown on the website in £ sterling (GBP). All payments which will include all taxes, delivery, shipping and handling fees are authorised by PayPal. 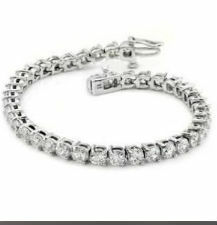 5.2 All prices are as stated on the website but www.diamond-bracelets.co.uk reserves the right at any time to revise the price of goods without notice. 6.1.2 authorise us to deduct from the PayPal account or Payment Card account the full price of the Goods and all other payments which may become due to us under the Contract. 6.3 Where Goods are returned by you in accordance with your rights under the provisions of Clause 11, we shall credit the PayPal account or Payment Card with the appropriate amount. 6.4 We will not pass your personal information on to any third party without your permission. Unless solely due to our negligence, we cannot be held liable for any losses you may suffer. If in any event your PayPal account or payment card is used fraudulently, you are entitled to cancel the payment and be reimbursed by the card issuer without being charged for the loss. 7.2 We will do all that we reasonably can to meet the date given for delivery. We cannot be held responsible for delays beyond our control. If we are unable to make the delivery date, we will contact you. If delivery cannot be made within 10 days of the given delivery date, you will be entitled to either arrange a revised date or cancel the order and receive a full refund. If we are able to make delivery in advance of the given date, we will contact you. 7.3	If we fail for any reason within our control to fully/partially deliver your Goods, any reimbursement shall be no more than the price of the Goods, together with any delivery and/or reasonable return costs. 7.4 Either party is entitled to cancel the contract in respect of non-performance of obligations in relation to delivery. If cancelled, we will refund you any monies already paid by you and any reasonable return costs incurred by you. 8.1 As soon as we have delivered the Goods or services, you will be responsible for them. If you delay a delivery, our responsibility for everything other than damage due to our negligence will end on the date we agree to deliver them, as set out in the contract. 9.1 We may, at our sole discretion, terminate your account or your use of the website at any time. You are personally liable for any orders that you place or charges that you incur prior to termination. We reserve the right to modify, suspend or discontinue any or all aspects of the website at any time without prior notice. 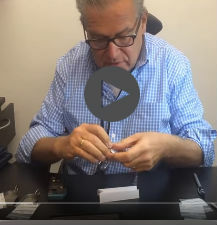 10.1 www.diamond-bracelets.co.uk is unable to provide any warranties in relation to goods provided over and above its statutory obligation to provide goods of satisfactory quality in accordance with the Sale of Goods Acts 1979 as amended by the Supply of Goods and Services Act 1994. For further information regarding these rights, contact Trading Standards or Citizens' Advice Bureau. reject the Goods and receive a full refund, or have the Goods (or the part in question) replaced free of charge. 10.5 The website may contain links to other sites that are owned and operated by other parties. We assume no responsibility for the contents of any other websites to which this website has links. 10.6 Products offered for sale on the website and the transactions conducted upon and through it are provided to you on an "as is" basis. We make no representations or warranties of any kind, express or implied, as to the operation of the Site or the information, content or products presented on the Site. To the extent allowed by law, we disclaim all warranties, express or implied, including but not limited to, implied warranties of merchantability and fitness for a particular purpose, non-infringement, title, quiet enjoyment, data accuracy and systems integration. We may include inaccuracies, mistakes or typographical errors. 10.8 Typographical Errors. Prices and availability of products and services are subject to change without notice. In the event a product is listed at an incorrectly (price or information due to typographical error or error in pricing or product information), we will have the right to refuse or cancel any orders placed for such product whether or not the order has been confirmed and whether or not your credit card has been charged. If you were charged for the purchase and your order is cancelled, we will issue a credit to you in the amount of the charge. If you are not fully satisfied with your purchase, you may return it in accordance with our Returns Policy. 11.1 You have a cooling-off period of 14 days after the date on which you have received the Goods to cancel the Contract, and return the Goods at your cost and receive a full refund of the purchase price and any delivery cost. 11.2 During the cooling-off period, any cancellation must be given by written notice by either party. 12.2 To protect your own interests, you should ask for a delivery receipt for any such and retain a hard copy of that delivery receipt and the original correspondence. 13.1 Any communication sent by post will be deemed received by the intended recipient three days following mailing where sent by first-class post, or five days after mailing where sent by second-class post. 13.5 We will try and solve any disagreements quickly and efficiently. If you are not happy with the way we deal with any disagreement and you want to take court proceedings, you must do so within the United Kingdom.